Buy Online Now! 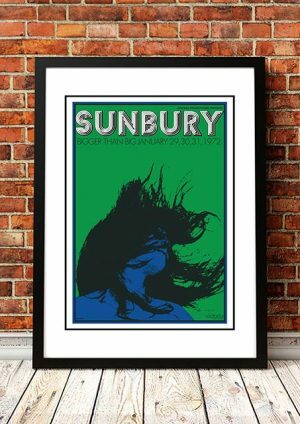 – Classic Chain Concert Posters and Memorabilia. 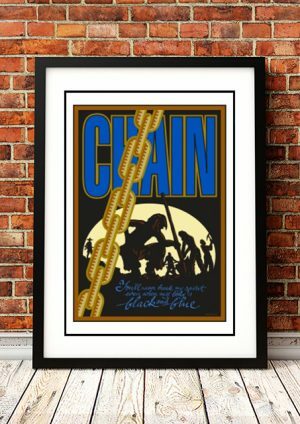 Chain are an Australian blues band formed in Melbourne in late 1968. Their January 1971 single “Black and Blue”, which became their only top twenty hit, was recorded by Chain line-up of Phil Manning, Matt Taylor, drummer Barry Harvey and bass guitarist Barry Sullivan. The related album, Toward the Blues followed in September and peaked in the top ten albums chart. Manfred Mann’s Earth Band covered “Black and Blue” on their 1973 album Messin’. 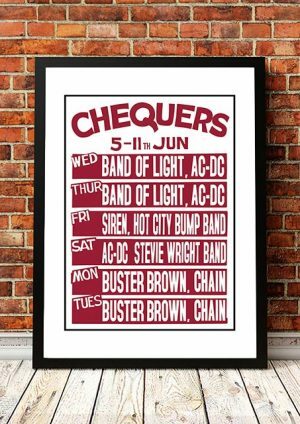 Chain had various line-ups until July 1974, they separated for several years then reformed in 1982 for a one-off concert and more permanently from 1983 to 1986. In 2005 Chain released, Sweet Honey and continued touring. May 2009, they reformed and performed at the Cairns Blues Festival. 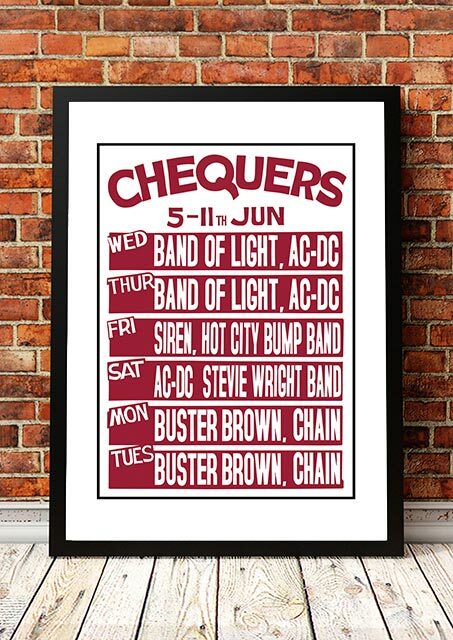 We stock some awesome Chain prints.